This position is located in the General Services Section, Registry, Arusha Branch under the supervision of Logistics and Operations Assistant and the overall guidance of the General Support Services Officer.  Drives vehicles safely for the transport of authorised personnel and general cargo goods. 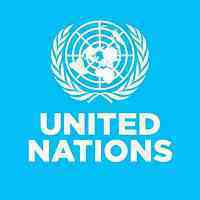  Makes regular deliveries of parcels, documents, etc., between the UN office and other offices and institutions, e.g. Ministries, Embassies, Permanent Missions, etc.  Meets official personnel at the airport and facilitates immigration and customs formalities as required.  Deals effectively and tactfully with officials and visitors.  Takes care of the day-to-day maintenance of the assigned vehicles, check oil, water, battery, brakes, tries, etc. ; perform minor repairs and arrange for other repairs and ensures that the vehicle is kept clean.  Logs official trips, daily mileage, gas consumption, oil changes, greasing, etc.  Ensures that the steps required by rules and regulations are taken in case of involvement in an accident.  Applies good judgment in the context of assignments given.  Professionalism – Knowledge of driving rules and regulations. Knowledge of the area and the current condition of roads and highways, security and safety awareness; familiarity with frequently traveled routes and routines of the more senior staff or the officers. Shows pride in work and in achievements; demonstrates professional competence and mastery of subject matter; is conscientious and efficient in meeting commitments, observing deadlines and achieving results; is motivated by professional rather than personal concerns; shows persistence when faced with difficult problems or challenges; remains calm in stressful situations.  Accountability – Takes ownership of all responsibilities and honours commitments; delivers outputs for which one has responsibility within prescribed time, cost and quality standards; operates in compliance with organisational regulations and rules; supports subordinates, provides oversight and takes responsibility for delegated assignments; takes personal responsibility for his/her own shortcomings and those of the work unit, where applicable.  Client Orientation – Considers all those to whom services are provided to be “clients” and seeks to see things from clients’ point of view; establishes and maintains productive partnerships with clients by gaining their trust and respect; identifies clients’ needs and matches them to appropriate solutions; monitors ongoing developments inside and outside the clients’ environment to keep informed and anticipate problems; keeps clients informed of progress or setbacks in projects; meets timeline for delivery of products or services to client. High school diploma or equivalent. A valid driver’s license is required, a copy should be submitted at the time of application. A minimum of two years of experience as a driver with a safe driving record. Experience in driving a variety of makes and models of vehicles, including vans and other kinds of motorised vehicles, is required. Experience as a driver for an office is desirable. English and French are the working languages of the IRMCT. For the post advertised, fluency in oral and written English is required. Working knowledge of Swahili is an advantage. There may be an assessment exercise followed by a competency-based interview. 1) Staff at the G-2 and G-3 levels are eligible to apply; the requirement for one year post occupancy is applicable. 2) Interested staff members must complete the UN Personal History Profile (PHP) form (in word format) obtainable via personal inspira accounts or the Mechanism website including a copy of a valid Driver’s license (file size must not exceed (500KB) or the Mechanism website. Please submit all documents including the PHP, a Cover Letter, and the last two e-PAS’s AS ONE DOCUMENT to the [email protected].org in-box. Please indicate the job opening number in the subject line. 1) External applicants must complete the UN Personal History Profile (PHP) form obtainable from the Mechanism website (www.unmict.org) and forward (PHP) in (word format) including a copy of a valid Driver’s license (file size must not exceed (500KB) to the [email protected].org in-box. Please indicate the job opening number in the subject line. Applicants may have to sit the United Nations Global General Services Test (GGST) in the duty station as per OHRM instructions.